It’s that time of year again, when the nights start drawing in, the bats come out to play, or rather feed, usually about dusk. There is a schedule of organised walks in various locations within the borough, organised by the Nature Conservation Ranger Team. Click for details. You need to book in advance. Meanwhile the Telegraph sets the scene for Christmas with the sad news that Robin numbers are way down this year, due to the adverse weather conditions and a poor breeding season – don’t we know it. My butts have never been so full during the “summer” and the parasol remains in the garage where I left it last Autumn. B21 - Book well in advance! 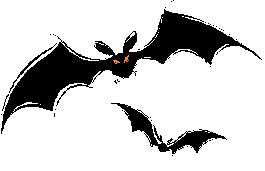 - How about organizing smaller groups on a number of nights - or inform ppl where bats can be seen flying free. I have clarified to many ppl recently that the birds flying at dusk are actually bats. And as for Robins - come on! Where do these ppl walk, sit or observe? The numbers of Robin 'are' less this year - but the clutches in my patch are still 5 eggs/hatchlings in three nests, 7 eggs/hatchlings in three nests, 3 eggs/hatchlings in two nests, and this is only round here in Wanstead/Leytonstone/Manor Park. Fledglings noted in this month's count are 29 which is good considering that the sparrow hawk and buzzard are more active due to the Thames Water disturbances throughout this area. Well, I can assure you that the robins at the Fullwell site are as resilient as the plotholders! I have a teenage robin following my every move when I dig up the potatoes. I am already reporting the sightings of slow-worms to the ecology person in Redbridge (and I am taken seriously), I am reporting the activities from the bumble bees to Stirling University (and they welcome this). Can I report the robins anywhere? I am pleased to hear that Robins are thriving in REDbridge.